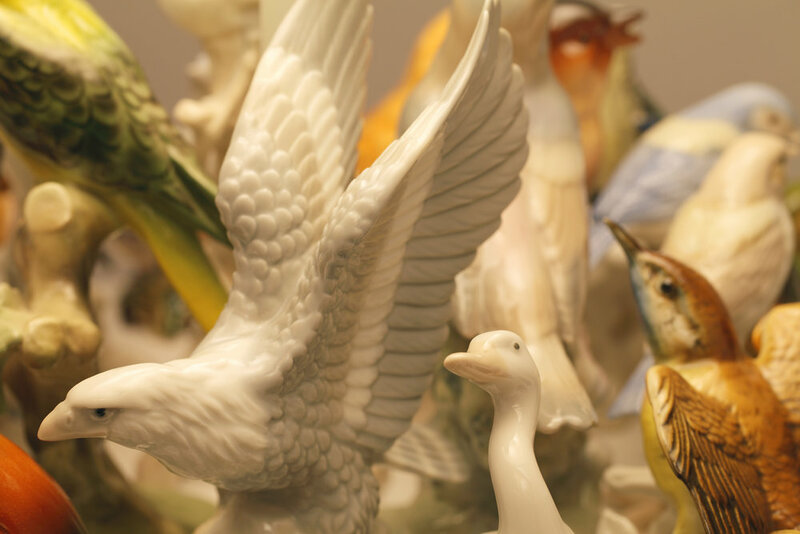 Continuing with my interest in ceramic animal figurines which embellish many shelves and mantlepieces in residential homes throughout the world, Island is the confined home of a menagerie of exotic and native birds. Their habitat is restricted, but they live side by side and in harmony, illuminated by a soft warm light. Although they can fly away they choose to stay and live together on their private idyllic island. Size – 400mm diameter base. 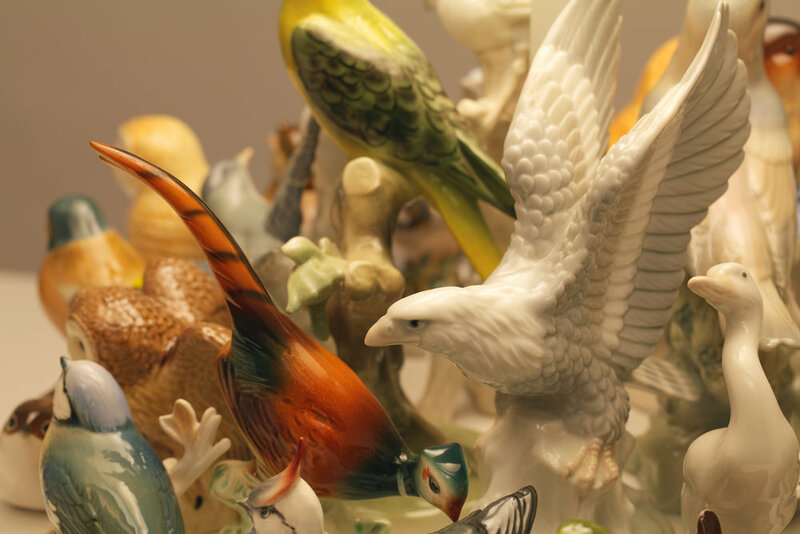 Material – Vintage ceramic bird figurines, spun metal dish, Corian base.